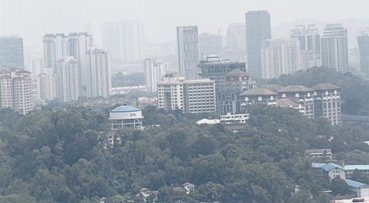 PETALING JAYA: Exposure to the haze may cause adverse health reactions with long-term effects such as increased risk of death from cardiovascular diseases, says the Health Ministry. In its advisory for workplaces, the ministry said the small particles that cause haze are composed of microscopic solids or liquid droplets that are so small that they can get deep into the lungs and cause serious health problems. Short-term adverse effects, as underlined by the ministry, include eye irritation, watery eyes and/or conjunctivitis (a type of eye inflammation), running nose, stuffy nose, sneezing and/or post-nasal drip. Other effects include throat irritation, dry throat, sore throat and/or coughing, phlegm, headache, dizziness, fatigue and/or stress, decreased lung function, depressed respiratory immune defence, chest tightness, chest pain, shortness of breath and bronchitis (lung inflammation). “These symptoms are usually mild and will subside if exposure to haze is limited by staying indoors. “However, in susceptible individuals such as diabetics or the elderly and those suffering from chronic diseases, especially respiratory and heart diseases, their condition may be worsened by haze and they are likelier to experience more severe haze-related effects than healthy people,” said the ministry on its website http://www.moh.gov.my/index.php/pages/view/192. One of the long-term risks associated with the exposure to fine particles is the faster rate of thickening of the arteries, promoting the development of vascular diseases. General measures at the workplace could be taken such as minimising outdoor activities, closing all windows, doors and any openings that may allow haze to enter the workplace, as well as ensuring maintenance of air conditioners with regular cleaning and servicing. “An air purifier or air cleaning device may be used to reduce the amount of air contaminants that may be circulating in the building,” said the advisory. Malaysia is currently experiencing soaring temperatures, with 18 towns and cities nationwide on heatwave alert. Haze has also made a comeback in certain parts such as in Sarawak, with hotspots and open burning being the factors.